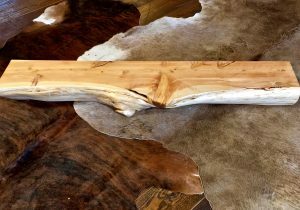 Curly redwood rustic mantel #429 is 60″ long and 3.5″ thick with a 10″ to 15″ shelf. 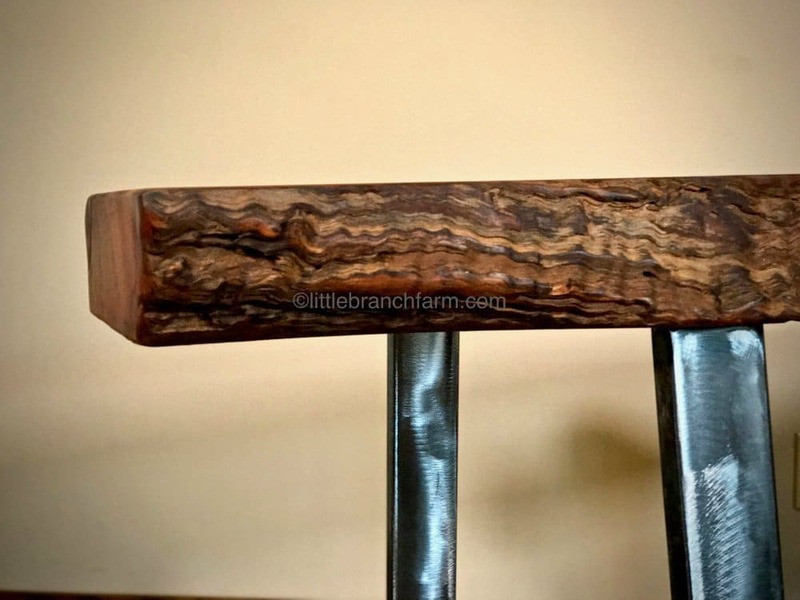 Old growth redwood mantel features natural live edge and curly wood grain pattern. Also, made from a redwood log salvaged from the forest floor. 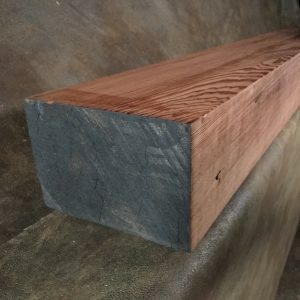 These historic majestic trees product high-quality lumber used for decks, siding, and natural wood furniture. Also, its burl wood is desired by woodturners and craftsman. 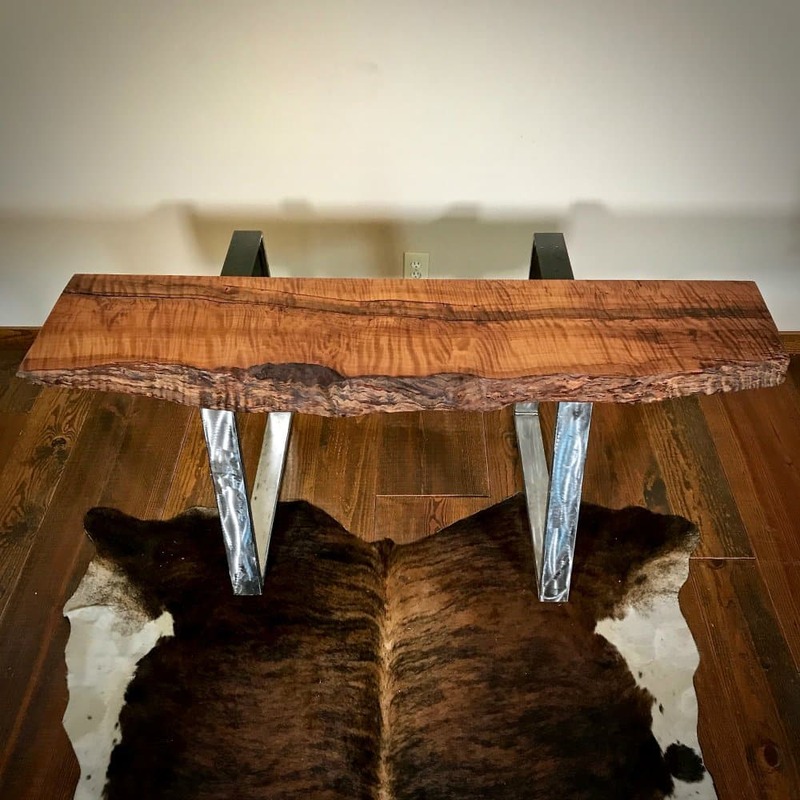 Also, many custom wood furniture makers design and build one of a kind pieces that are artistic yet functional. Guitar makers also use highly figured curly redwood and redwood burl. 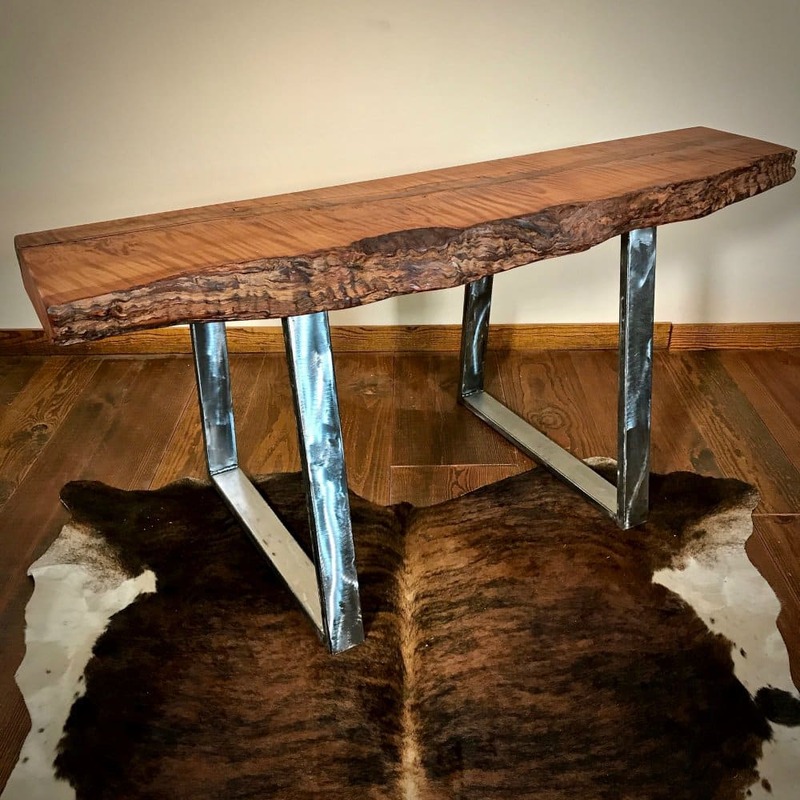 Sourcing wood slabs and logs in an ethical manner allow us to be environmentally responsible in building our rustic style natural wood furniture.